Knitting club and basil muffins? Have you ever thought of what you would do for a living if you could do what ever you would like, without taking risks and finances into account? In my adult life my dreams have always hovered over health and fitness related professions, until recently. Right this very minute I am dreaming of my very own cozy yarn shop with a little cafe. 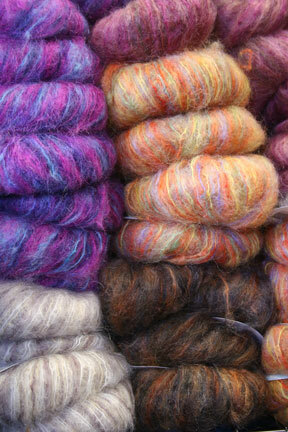 Yarns in all the colors of the rainbow, in all fibres available packed to the rafters. A cafe with muffins a la Sprigs SA and a knitting club of course! yarn in beautiful colors and textures. I love to create things, when I was younger I used to draw… But I think I made my last sketch in 2005! About the same time I started to knit. I find it so relaxing and at the same time challenging. There is always something new to learn. A fantastic hobby to have, where you can get a fabulous and useful end product. Although it doesn’t always work out like that. But don’t forget practise make perfect! AND some useful studies has proved that it can lower your blood pressure and get you to the same relaxed state as if you were doing yoga. Not bad if you ask me.